Many states in America are under drought, with California being the worst. Much of our food supply comes from this state so we are all feeling the effects at the supermarket. 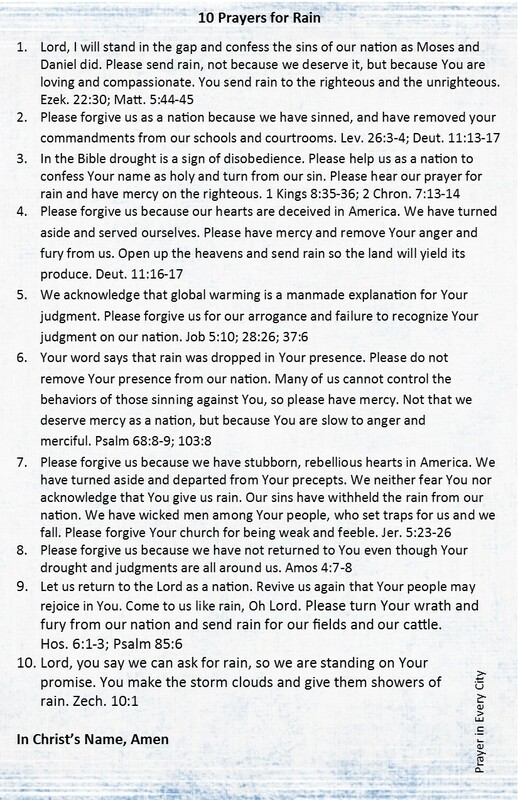 According to the Bible, drought occurs as a result of sin and disobedience. Even if you are not in one of these states, we should all stand as one nation under God and stand in the gap for our nation. This summer I am making a photo prayer journal so I have all my prayers in one place. If you are making a Prayer Journal this summer, then I have made a page so you can add to your journal. If you would like to know how to make a journal or have missed a page, click here: Family Photo Prayer Journal. You may also find this page by clicking on “Free Downloads” at the top of the page. 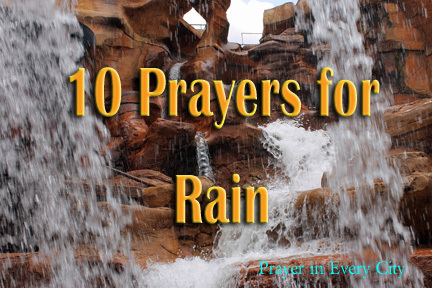 Click here to print a pdf file: 10 Prayers for Rain or click on thumbnail for a jpg. Cut the page so it will fit in your journal, if you are making a half-page journal.